Nothing like an wall of Iriya-chan. ^_^ I really love her color pallete. XD Red eyes then purple hair. XD Anyhow, tried mixing a few things in this wall. Came out nice IMO. Great background Zuri ! I like abstract bg in walls :) This one looks amazing like all from you ! wow this is a nice abstract wall Zuri, great color choice and experimentation! Good job! This one looks really cool. I like the colors and the scan's quite cute. A very impressive wall, but there are a few extraction problems in places. They may not be visible to you, but they are visible to me. The colors are coordinated well. Keep up the good work. cool purple! I love the bg, its pretty! Colors are blended nicely! +fav! i love how the colors are blended so well. 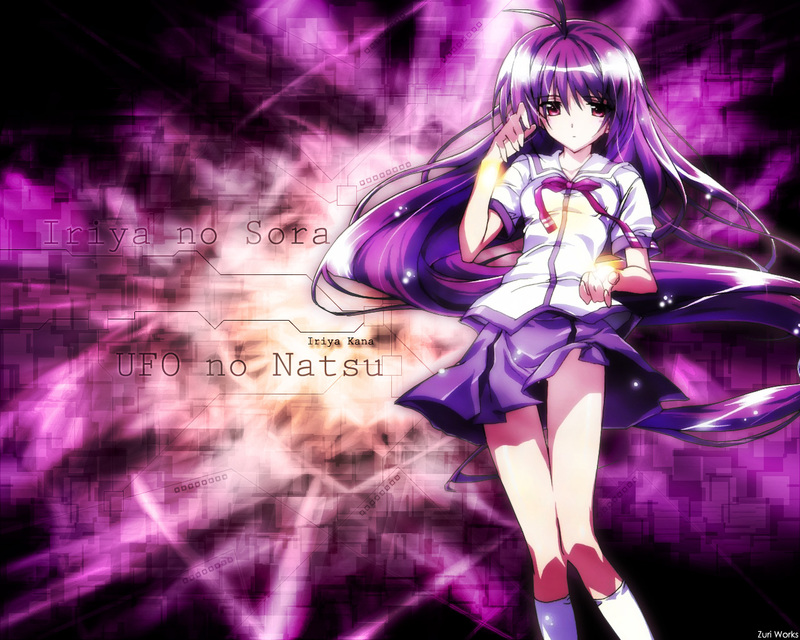 sugoi sugoi.. awesome bg effects and the colours are stunning purple. The layout is very impressive. I really enjoyed the way you meshed the tiles very well, and the colorful explosive dynamic effects that you brought on the table, and weaved the lines all around the entirety of the wallpaper. It definitely brings a whole new line of high quality effort and artwork, and I really enjoying looking over this one. Of course, there is one slight error with the extraction from the hair inbetween the text, and that might need a quick fix, but other than that, everything else looks quite nice. The way you shifted the gradient color from a bright peach, to a beautiful violet array really delivers an astonishing look at the background overall, and gives it that visual appeal I find truly awarding to take a peek at from time to time. The character you used is quite nice, and doesn't seem to stand out from the wallpaper but doesn't really blend in as much, which is a good thing in my books, of course. Also, the technological lines and boxes you surrounded layer upon layer in the background, and the way they seem to align - great effort, and nice work. Through the overall complexity of the image, I really like this one as a whole. The final proud and achievement is great, and the theme seems to settle in quite well, Zuri-chan. Clearly this is one of the better wallpapers I've seen up to date. Keep up the good work.